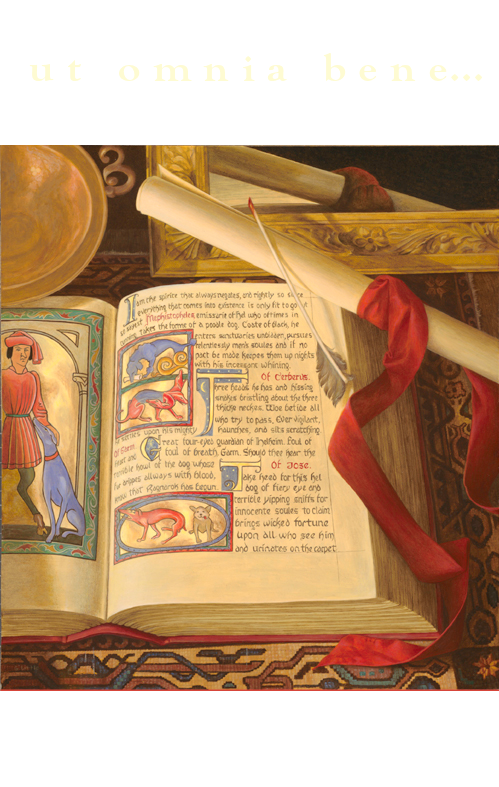 It's interesting, the things people choose when creating fantasy worlds in their basements. I mean people who have the money to create fantasy worlds in their basements. I mean Barbra Streisand. But anyway, I think the last thing I'd make is a shopping mall. Still. The very true fact that Barbra Streisand has a life-sized replica of a mall in her basement makes for great theater. Buyer and Cellar, which we saw Friday night at Portland Center Stage, is the story of an out of work actor, not long from being summarily fired from his latest gig playing a character at... Disneyland, who receives the very strange offer of performing as the singular on-hand shopkeep of all the shops in Barbra Streisand's basement. He dusts her many collections displayed in the shops, serves frozen yogurt, even performs sales exchanges (complete with haggling) with the star over her own merchandise. This show is totally weird, wildly inventive, and laugh-out-loud funny. Full disclosure, Stephen and I are big Streisand fans. Stephen is hugely so (pre-1980s Barbra, specifically). As we sat in the theater before the play started, Streisand music piped in around us, he said, "If they'd play this louder, I could sing along, and if I sang along, I bet everyone would sing along." 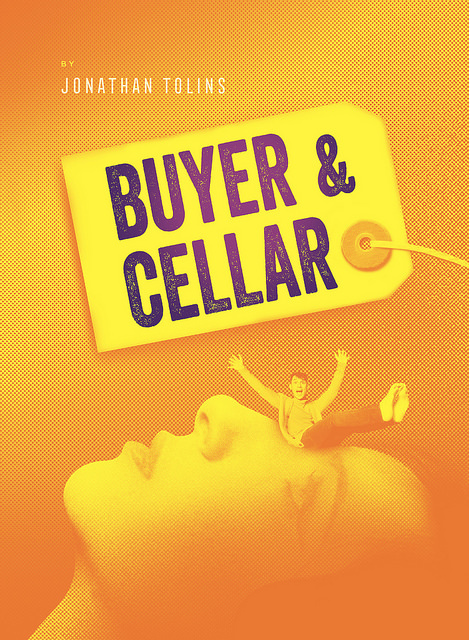 I'd been worried Buyer and Cellar would be a musical. I can be quite a stickler where musicals are concerned, and I wasn't sure I could condone a guy giving us his life's story while crooning covers of "Evergreen" and "Papa, Can You Hear Me." But it isn't that at all. It's a charming and hilarious one-man show about ambition and the ways we create fantasies of our lives - with a sweet love story to boot. The writing is fantastic, but what it takes to pull off this show is a really great actor. He has to stay "on" for a seventy-miles-an-hour one-hundred-minute ride with no intermission, playing four different parts (including narrator Alex, and of course Streisand, herself) (oh, and a quick cameo by Oprah, so five), has to play those parts with energy and subtlety, has to charm the pants off the audience and make them laugh for most of those one hundred minutes—and Nick Cearley did all that. I can see this role being irritating if performed by a less experienced actor, but Cearley has beautiful timing and perfect nerdy lovability (I remember him as a great Seymour in PCS's production of Little Shop of Horrors a couple years back.). He has lots of energy but it's not over the top. As he spins his outrageous story, his face, and at times his whole body, comment on its ridiculousness with wonderful little asides. There's a great sequence where he dances while he tells his story, and every move is the elegant and perfect pairing for the words he speaks and the mood he wants to create. In dialogue, he's able to switch back and forth between characters beautifully. Conversations between Alex and his spirited boyfriend Barry in particular are absolutely seamless. 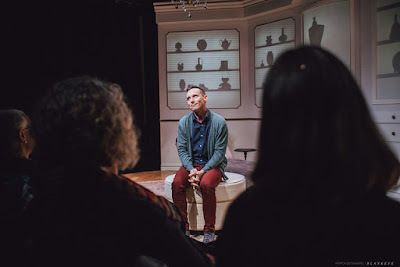 The framework for this play is a book Streisand wrote called My Passion for Design, all about the design of her home, the design and decorating of all the rooms, her gardens, her many collections. 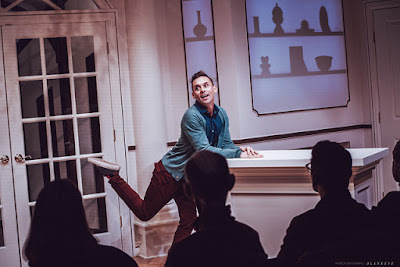 I was struck, watching the play, by the way design can mean more than just creating the look and feel of an object or a space. And by the way so many of us work so hard to design our own selves. Oh, sorry. I nerded out a little just now. But then again, why not? 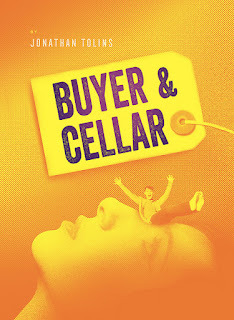 Buyer and Cellar celebrates the best of nerdiness, along with being deceptively smart, giving you lots of think about after you're done laughing your head off and go home to your apartment or your house with its very, very regular basement. Buyer and Cellar is playing now through March 3rd in the lovely Ellyn Bye Studio (Hey, that's below ground, too! That's like having a theater in your theater's basement!) 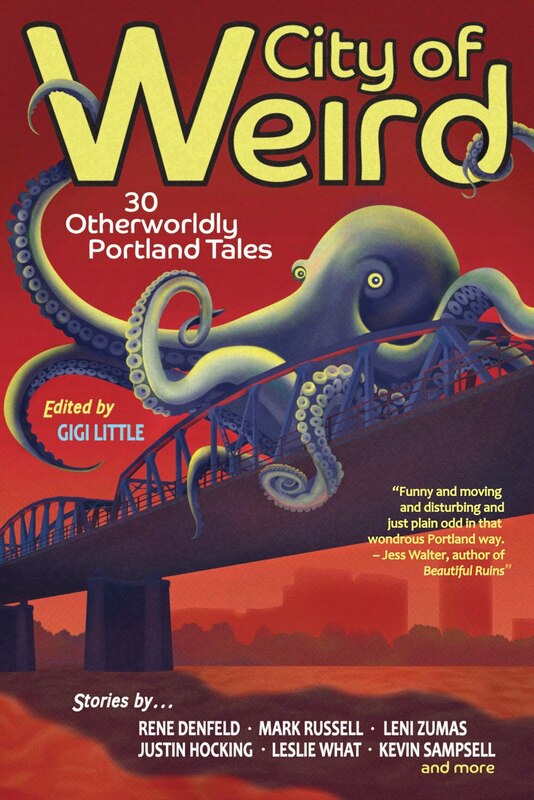 at Portland Center Stage. 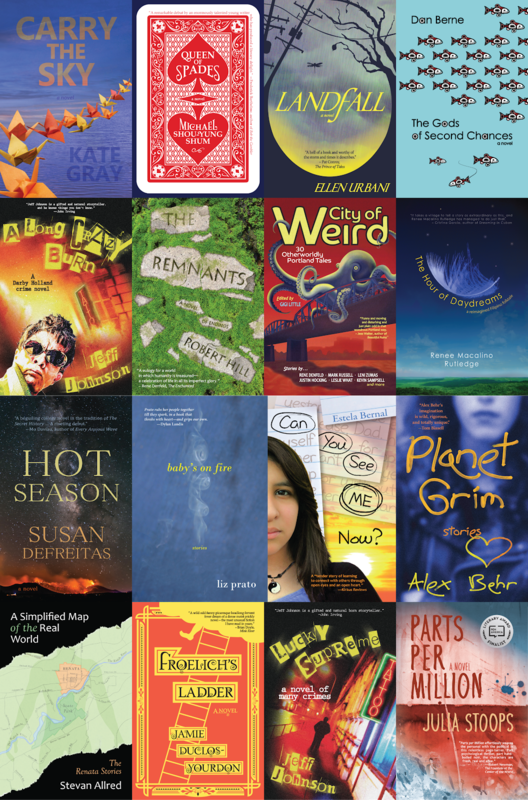 More information is here. Photos by Patrick Weishampel/blankeye.tv courtesy of Portland Center Stage at The Armory.